It is said that General Johnston, by an admirable series of maneuvers, is managing to retreat from Williamsburg, all the time concealing the comparative weakness of his troops, and is retarding the advance of the enemy, until troops from other points can be concentrated here. 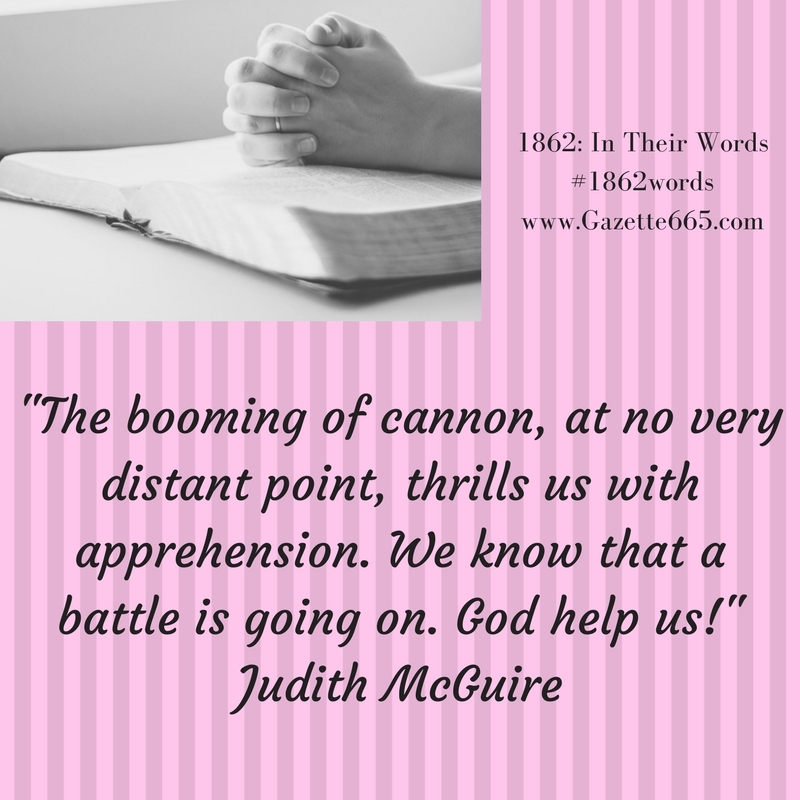 The booming of cannon, at no very distant point, thrills us with apprehension. We know that a battle is going on. God help us! Now let every heart be raised to the God of battles. 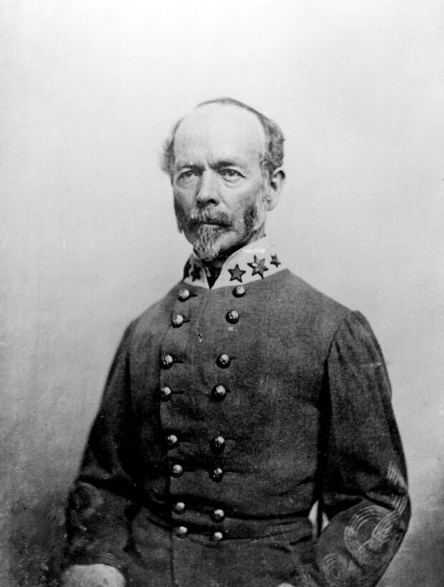 General Johnston brought in wounded, not mortally, but painfully, in the shoulder. Other wounded are being brought in. The fight progressing; but we are driving them. Okay, so Johnston and his thin gray line were all that was between Union general George McClellan and the Confederate capital. The Southerners had gradual retreated until they couldn’t retreat much farther without walking into Richmond with the Northerners on their heels. Judith McGuire mentions that the medical facilities in the capital city had been prepared. 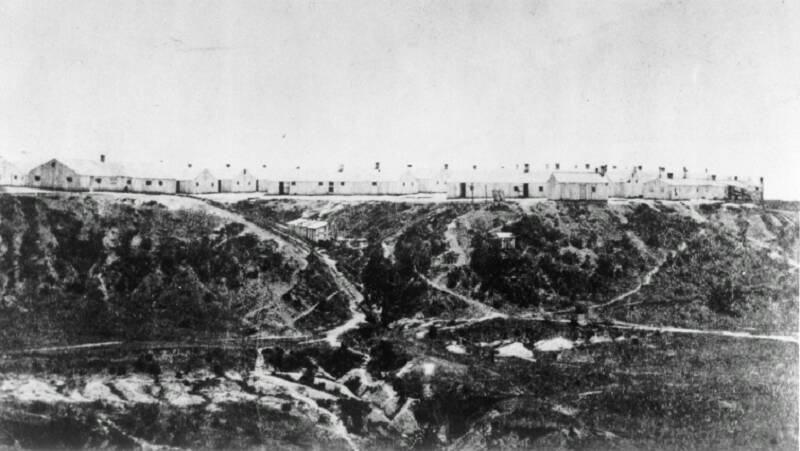 From the earliest days of the war, Richmond had prepared hospital facilities, but as the conflict went on, better equipped buildings were built or converted for medical use. During 1862, Chimborazo Hospital (which would become the largest hospital in the Confederacy and admit over 76,000 soldiers) was built. Chimborazo Hospital in Richmond Virginia was the largest hospital facility in the Confederacy. Judith McGuire was a refugee in 1862, but she wasn’t refugeeing from Richmond like some of the individuals we talked about earlier. In fact, she had refugeed to Richmond. Mrs. McGuire moved from Alexandria, Virginia, to various locations in the state as the war progressed and she was in Richmond as McClellan approached the city. She kept a detailed journal of her travels and experiences. If you’re interested, her journal is titled: “Diary of a Southern Refugee During the War” by A Lady of Virginia (aka Judith P. McGuire). Her accounts during the Peninsula Campaign and fighting around Richmond provide insight into the feelings of civilians and their observations as the Confederate command changed, McClellan waited, and more Southern reinforcements arrived. P.S. Want to know where Johnston was on the battlefield when he was wounded? Check out this article from Emerging Civil War.